It was not a routine day on the job for one Portsmouth police officer, credited with saving four baby ducks Sunday. The Portsmouth Police Department posted pictures of the rescue on its official Facebook page. 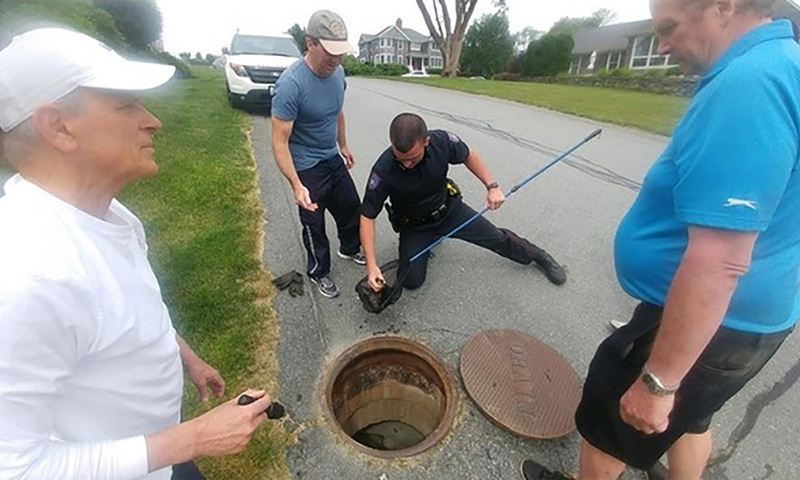 They show Officer Bruce Celico taking the cover off the storm drain to get to the tiny ducklings. He then climbs in, eventually pulling out all four to safety. The post has been garnering a lot of shares and likes from both residents and animal lovers applauding the officer.